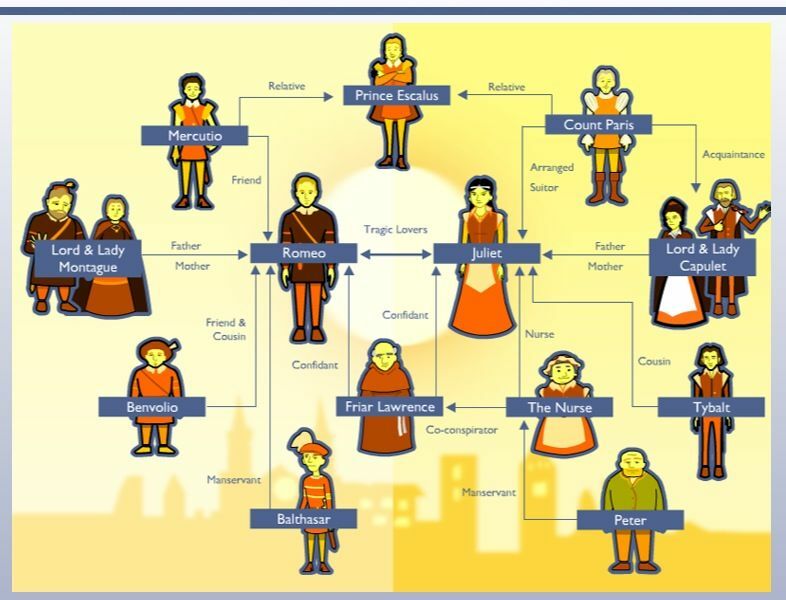 As you read Act I of the play, consider how the characters of Romeo and Juliet, and the members of their household match up with our expectations of an Elizabethan family. 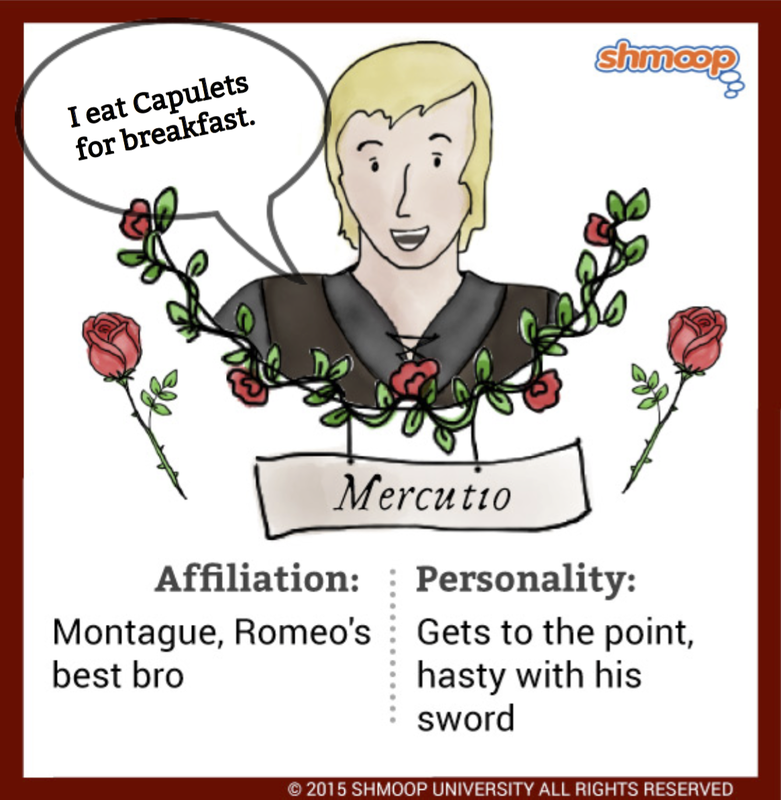 Also, explore Aristotle's tragic hero, a character archetype that Romeo and Juliet both fit. What tragic flaws are developed in them in the exposition of the play? Romeo, Benvolio, and Romeo's good friend Mercutio (neither a Capulet nor a Montague) arrive at the Capulet banquet, disguised as entertainers. Romeo asserts that he will not dance, due to his melancholy, and he is teased by Mercutio, who humorously blames his restless dreams on Queen Mab, a fictional fairy who visits people's dreams to mess with them. The group proceeds to the party, although Romeo expresses dark feelings that something bad is bound to happen. Watch the video clips of Scene 5 below from the 1968 film and the 1996 Leonardo Dicaprio version. Pay close attention to how the scenes portray Romeo and Juliet's characters. Consider their words, actions, behavior, facial expressions, costumes, etc. Also think about the techniques (camera angles, music, choreography, set design, etc.) used in the film to develop the mood of this iconic "Love at First Sight" scene. Create a graphic organizer and take notes comparing and contrasting the two versions. You can stop watching Video 3 after 3 minutes! Lyrical Comparison: "What is a Youth" vs. "Kissing You"
Act II: Fate or Freewill? The Tension Builds!! 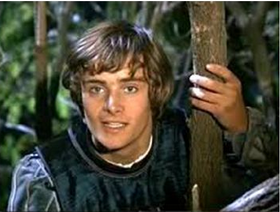 After the Capulet party, Romeo slips away from Benvolio and Mercutio and returns to the Capulet orchard (garden). Benvolio and Mercutio come calling and hunting for him, joking and picking at his girl problems. They soon give up, deciding that Romeo does not want to be found. We learn that Romeo was hiding from his friends, he heard them, but didn't reveal himself. 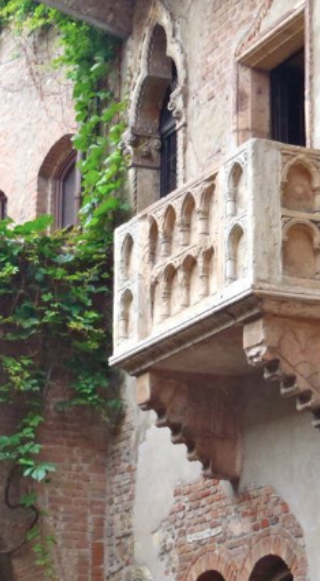 Alone in the Capulet orchard, he sees a light in a window and Juliet walks out onto the balcony outside of it. He sees her, but she is unaware of it, an example of dramatic irony. 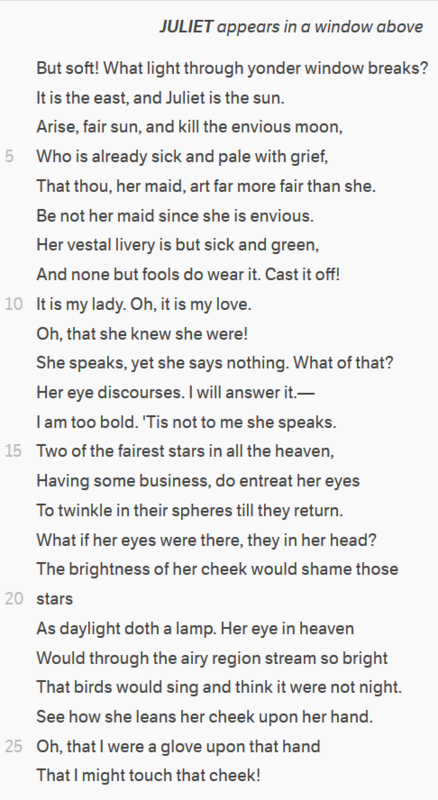 As you read Romeo's soliloquy on the right, try to imagine his tone and the pacing and volume of his voice. How would he deliver each line? What facial expressions or gestures might accompany each line? Read the rest of Scene 2 in the No Fear text, paying attention to significant lines, tone, rhyme scheme, and imagery. Then, watch the staging comparison video to the right. Use the Matrix provided above to record notes on the various cinematic techniques used in each version of the scene. Notice that you can pick whatever aspect of the films you want for the last column. 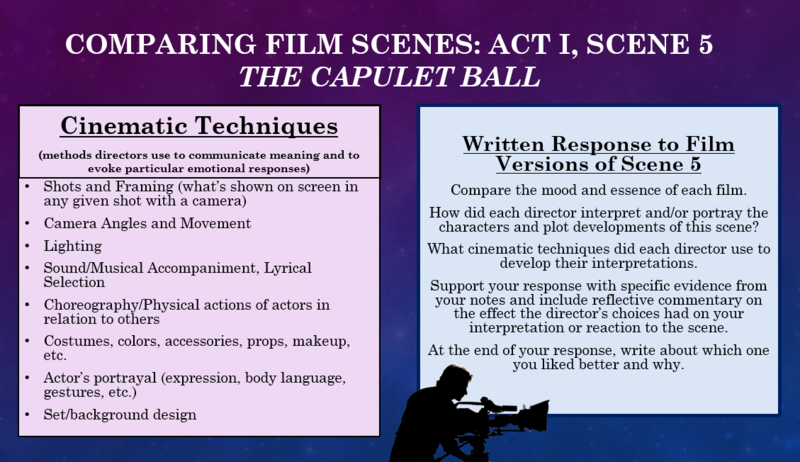 Consider the Cinematic techniques listed in the activity from Act I as options to analyze. When you have finished, Fold the paper so that the blank side is out, tape it in your journal, and label the side showing as Act 2, Scene 2 Staging comparison. Finally, reflect in that space on the three film moments you found to be the most effective and why. Then, jot down a few notes on how you would have filmed/staged the scene. Remember that during the Renaissance, there was a great resurgence of culture from ancient Greece and Rome. Shakespeare's tragedies featured characters who were prime examples of an archetype created by Aristotle known as the tragic hero, and Romeo and Juliet are no exception. 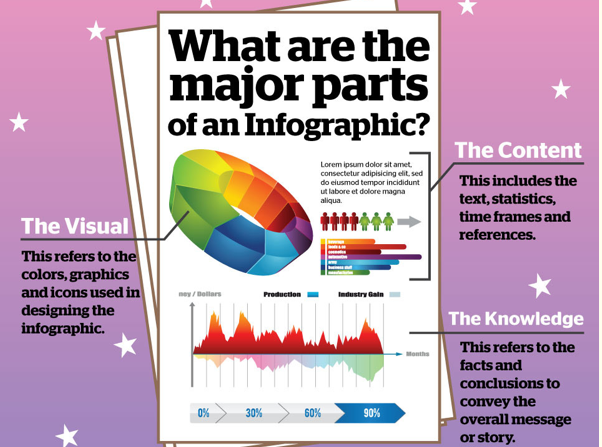 Browse the materials below and create an infographic, diagram, flowchart, or poster that captures the essential traits and qualities of a tragic hero and their story arcs, and gives at least one example of a tragic hero from literature, drama, cartoons/anime, or film (movie or series). Be creative. Don't just copy the resources I've provided. Make this assignment your own! 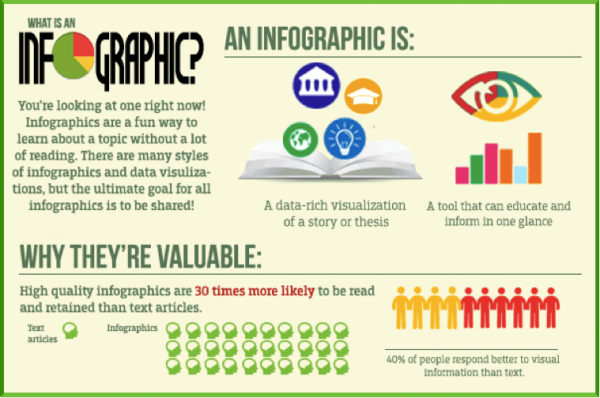 You can use either of the virtual infographic/poster makers I have provided below (each website includes helpful tutorials! ), another computer app or program you are familiar with, or use good old-fashioned paper and coloring utensils! So far, how do Romeo and Juliet fit Aristotle's tragic hero archetype? What might their fatal flaw(s) be? Cite examples from the Prologue, Act I, or Act II to support your response. Read Mercutio's exchange with Romeo in this scene. Analyze his famous "Queen Mab" Speech by exploring the materials on the Interactive Folio Site. Watch the PBS Analysis clips of Mercutio and the film versions below. Fill out the questions and organizer, considering how each portrayal of the character affects our interpretation. What do you think is the root cause of Mercutio's occasionally unsettling and erratically emotions? How do you interpret his character? Why do you think he is so memorable among so many fans? With Romeo exiled by the prince for killing Tybalt, and a sudden betrayal by her beloved nurse, Juliet turns to the friar for help. He offers her a potion that will make her appear dead long enough to fool Paris and her family. While they mourn her death, Romeo can rescue her and the two can be together. Juliet assures her father that she will marry Paris, leaving him pleased with her change in attitude. Before she takes the potion, Juliet delivers an astounding soliloquy that reveals her deepest thoughts in this desperate moment. Use the handout here to explore her soliloquy in depth. The video provides several interpretations of this soliloquy. Compare the different interpretations and how they affect your understanding of the character. 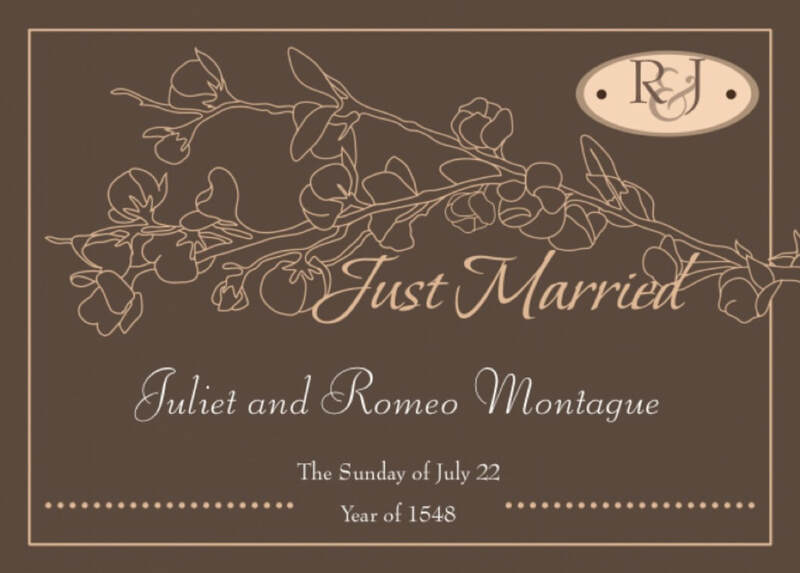 The friar attempts to send word to Romeo about the plan to fake Juliet's death, but the message never arrives because the messenger was quarantined in Mantua. Instead, Romeo gets word that Juliet is dead and rushes back to Verona to the Capulet tomb, planning to kill himself. The friar discovers that his message never made it and runs to the tomb, trying to intercept him. At the tomb, Romeo encounters Paris and the two fight. Paris is mortally wounded and dies shortly after. After pulling Paris's body to lie with Juliet's (per Paris's request), Romeo delivers his final soliloquy over what he perceives to be Juliet's corpse and then drinks real poison, taking his own life. Use the handout above to analyze his soliloquy and then check out the different film interpretations. Click the link above for more interactive Shakespeare!